Antique diamond rings make the perfect engagement ring and, as such, we pride ourselves in offering a unique collection of stunning rings, all of which have been carefully sourced and hand picked by ourselves, using our 50 years' of experience and knowledge to bring you only the finest, rarest and most distinctive rings available. Why not browse our range and see them for yourself. 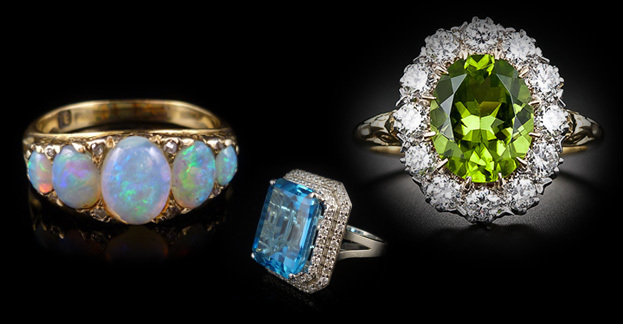 Laurelle Antique Jewellery offer a great range of antique diamond rings and other precious stones from all Eras. All gem quality corundum that is not red is called sapphire, yet this name is popularly associated with the colour blue. Variation in colour, due to iron and titanium impurities, spans many shades, but the most valuable is a deep blue. Emerald derives its beautiful green colour from the presence of chromium and vanadium. 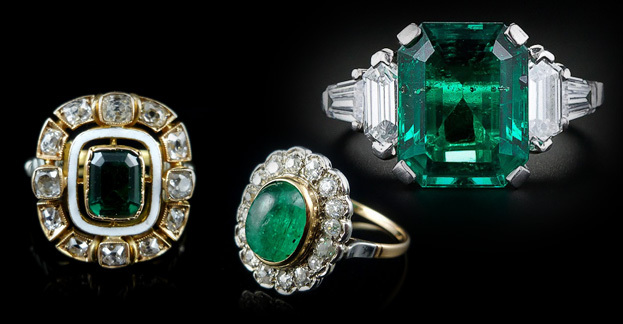 Sometimes referred to as the Garden Stone, colour is all-important to Emerald, inclusions are secondary. 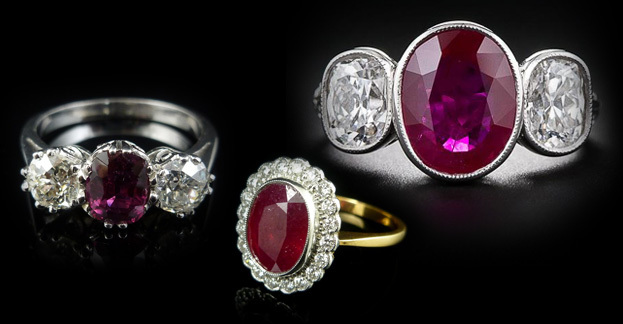 Ruby – the name given to red, gem quality corundum is one of the best gemstones for jewellery settings. Rubies may be any shade of red from pinkish to purplish or brownish red, depending upon the chromium and iron content. Other mainstream precious stones are Aquamarine, Amethyst, Topaz, Tourmaline, Peridot, Garnet, Pearl and Opal. Hello dear friends! I received the boxed Scottish brooch and earring set; and, my, oh my! they are absolutely exquisite! The set is in such lovely condition. How I will love wearing these pieces! They arrived just in time for an event that will be taking place soon, and I had not been looking forward to going nearly as much as I am now. The pieces will look wonderful with my jacket and dress! Thank you so much for all of the care that you take in packaging and shipping. I am always thrilled to find pieces from Laurelle. I will look forward to shopping with you in the future! This has been a first class personal service. Sam was so helpful and went out of her way to ensure I received what I wanted. The items are simply stunning and as described on the site. The photographs were very accurate and helpful in the decision making. I could not have asked for anything more and would recommend without a doubt to anyone looking for outstanding quality and service to match. Thank you so much. 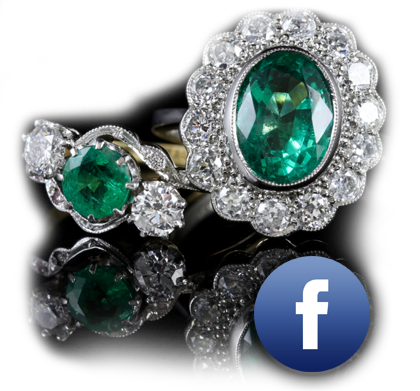 One of the best websites we have ever seen, a huge collection of Antique jewellery at very affordable prices, I will treasure my garnet suite for ever, thank you so much for its history too and professional Valuation. Received my engagement ring this weekend after I said YES !! It is out of this world. A superlative service, a fabulous Diamond, this company is the best by far, thank you so much. We will be back. Sam your service is incredible, your jewellery is beyond expectations, I have been shopping with you now for 15 years online watching you grow and mature into a fabulous company, we will always return. I have just received the ring and I am absolutely, 100% thrilled to bits, lost for words, over the moon... I just love, love, love it! Thank you so, SO much for your help and patience, I am very grateful indeed. Please do pass my regards onto your setter who, (although I am no expert) I think as done a very fine job. Diamond, arguably the most precious material on Earth, is the birthstone for people born in April. The stone is believed to have healing properties, relieving fatigue and stress, as well as being intrinsically connected with love in all forms. 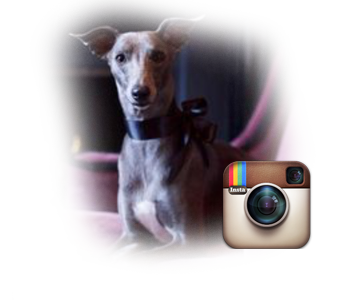 Visit our Instagram pages to see our vast collection of rare and unique antique jewellery. 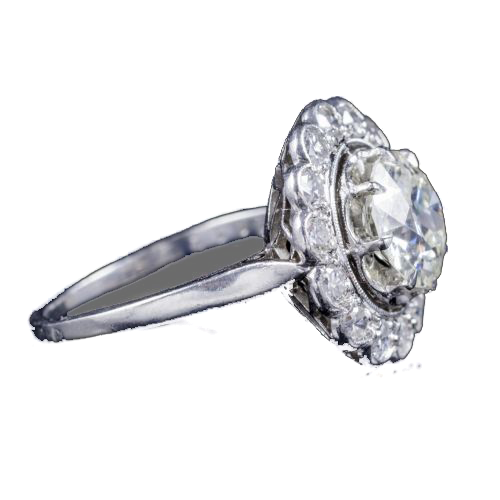 Antique Diamond Rings is a renowned retailer of antique rings, with over fifty years experience spanning three generations. Exciting consumers with some of the most exquisite and intricately designed antique rings available anywhere online, we enjoy a reputation that’s second to none. Our collection of Edwardian, Georgian, Victorian and Art Deco rings is comprehensive and breathtaking. We transcend the most decorative eras of jewellery, bringing you a sparkling array of designs to suit any taste and occasion. 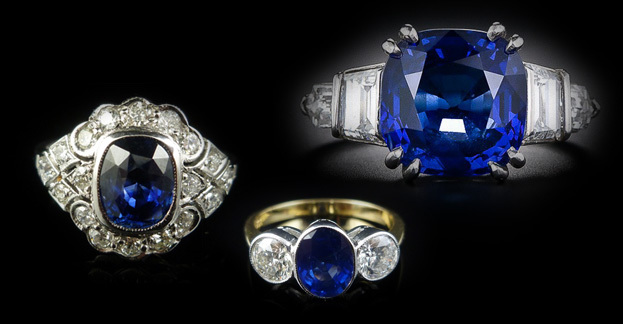 Take a tour of our site and you’ll be enraptured by the fantastic range of antique rings which you see. A symbol of enduring love and betrothal to another person, engagement rings are one of the most prominent traditions in Western culture. The choice of ring is one of the most important decisions you’ll ever make. 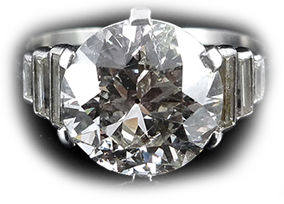 Thankfully Antique Diamond Rings has a collection of antique engagement rings that allows you to identify a design that translates the way you feel perfectly. Jewellery symbolises affection and love. There is simply no finer gift for a loved one. Our collection of antique rings includes antique diamond rings, antique sapphire rings, antique emerald rings and antique ruby rings and all are the perfect gift to show you care. We will gift wrap orders upon request, assuring that your purchase will arrive encased in a decorative box, and in pristine condition. 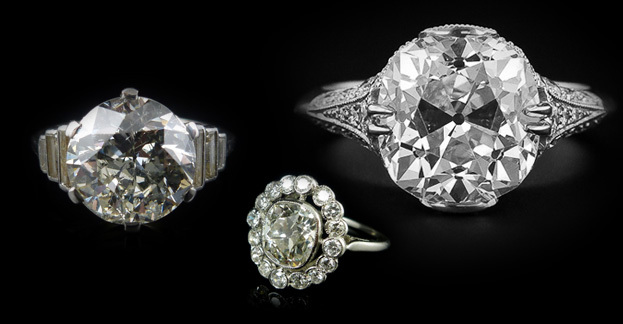 As an online retailer of antique rings, we do not suffer the overheads associated with a high street store. 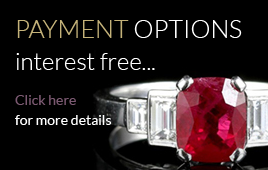 This allows us to pass the savings on to you by offering competitively priced antique rings, Art Deco rings and Victorian rings. Having built up a solid reputation as an eBay shop, and traded successfully at international antique fairs across the UK and Europe, we understand the importance of offering unbeatable value for money – an ethos we have translated to our website. Sign up to our newsletter to receive 20% off future orders and keep in touch with the latest offers.